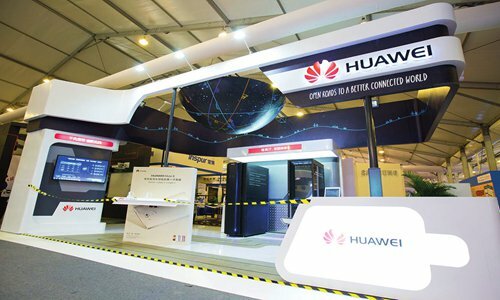 Huawei released the latest Wireless Fiber Solution (WFS), which is an enhanced WTTx solution, on January 3, focusing on how to maximize wireless network potential and quickly provide broadband services. According to Huawei, WTTx, or wireless to the x, is a 4.5G-based technology that offers advantages including major reductions in cost and time of deployment. The launch of the latest WFS helps further increase home broadband rates and improves market penetration. Rapidly developing LTE (Long Term Evolution) technologies have significantly improved wireless bandwidth, capability, and have reduced the cost per gigabyte. LTE has become a viable solution for broadband rate improvement. The 5G spectrum release and various new 5G technologies will further improve spectral efficiency, capacity, and reduce the cost per gigabyte to enhance the capability of wireless fiber broadband. According to the Digital Economy and Society Index Report 2018 in Europe, wired broadband rates in Europe are between 7 Mbit/s and 23 Mbit/s, and the LTE rate has already reached between 20 Mbit/s and 42 Mbit/s. There are 23 percent of households in Italy using only LTE wireless to access the internet. Huawei's enlisted several advantages of its WFS that are embedded full services, fiber-like experience, fast deployment, flexibility, flexible speed on demand, and 5G-oriented evolution. The WFS supports a full range of diverse services, including broadband, video and VPN and helping operators deploy a basic full-service broadband network for both households and enterprises. The WFS offers a Gbps-level broadband experience, helping operators provide superior home broadband services in a way to maximize the value of their networks and provide broadband access services to more households and enterprises without adding more base stations. Fast service provisioning: Traditional wired broadband services require several weeks, or even months to deploy, but WTTx services can be operating within a single day. WTTx offers broadband service via wireless connections. No trenches need to be dug, no cables need to be deployed underground, and no approvals need to be obtained from property owners. This helps operators rapidly increase the number of users. There are several user segments requirements. Some of these users are price-sensitive and would rather get more data traffic at a lower cost. Other users are more sensitive to service experience and require high-quality broadband services. The WFS leverages wireless fiber broadband technologies, which promote network resource sharing. This solution helps operators provide prepaid and postpaid packages for different consumer segments to meet different user experience requirements. As for network investment, operators need to pay attention to sustainable development of network architectures for the arrival of the imminent 5G era. Huawei's WFS features an advanced architecture that allows operators to evolve based on their needs. For the users, Huawei's exclusive CPE (Customer-Premises Equipment) design supports smooth evolution to 5G CPEs with just an outdoor unit replacement that quickly meets user requirements for higher speeds.